Prague 7 has something for everyone – employees on a business trip, students on a study visit, even digital nomads. Are you going on a trip for 14 days, a month, or half a year to the capital of Czechia? 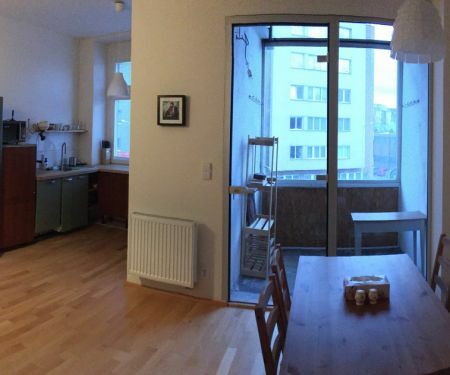 Find a rental in Prague 7 via Flatio. Our Flatio map will show you clearly where you can find short-term or mid-term rentals in Prague 7. Then you just need to pick one and request reservation. Are you planning a study visit, a pleasure trip, or a business trip to the heart of Europe? Then you must be thinking about where you’ll be staying for the 2 weeks, 3 months or half a year. Follow the newly added apartments and great offers won’t slip by unnoticed. When you’re intrigued by one of the flats that you’ll find on Flatio pick a short-term or a mid-term rental. You can expect a great and fast service that you’ll get from all corners of the world. All you need is an internet connection. The reservation is completed within 24 hours from request. No deposits, estate agencies, or steep commissions. Do you want to live in the capital of the Czech Republic during your business trip, travels, or study visit, but you also want to have nature close by? 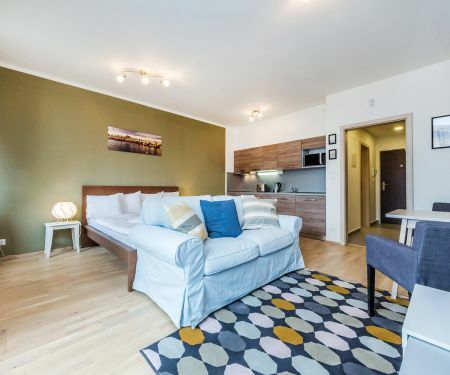 On Flatio you’ll find a rental in Prague 7 where there are densely populated areas with business zones, countryside areas, and even a nature reserve. During your free time at weekends, you can go to the botanical garden or to the Zoo. This district spans 7.14 km² and has many inhabitants – by the end of 2017 there were about 44 034 of them. Do you want to be one of them for the 2 weeks, month or half a year that you’ll be spending in Prague? Pick a suitable rental on Flatio and right after getting the keys you can start living in a fully furnished apartment. When you’re paying for a hotel room, you’re looking at ratings from previous users as well. You can do the same with offers on Flatio so that you pick the best rentals there are in the capital of the Czech Republic. 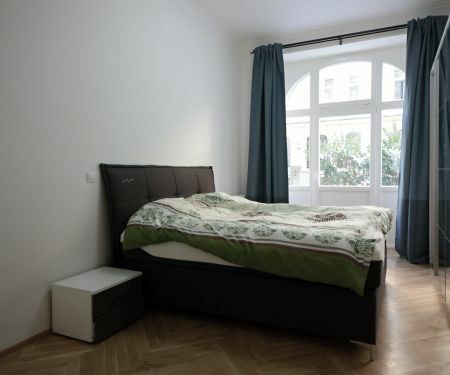 For your upcoming stay, pick the best apartment in Prague 7 for 14 days, a month, or half a year. And you can be certain that you’ll enjoy your stay in the heart of Europe without unwanted surprises in the form of slow WiFi or noisy neighbours. 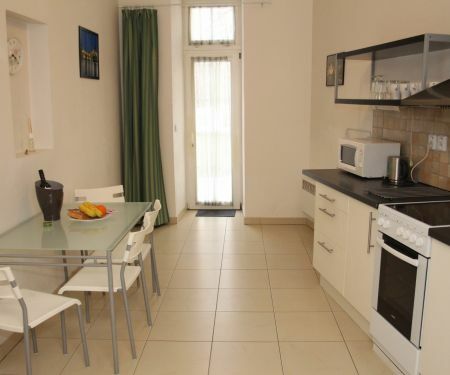 All apartments are fully furnished, equipped and have all appliances. Your reservation will be confirmed in 24 hours after sending it to the landlord. You don’t have to pay a deposit, estate agency commissions, or steep fees. Everybody has the right to rent an apartment in Prague 7 without an estate agency or paying commissions. Do you want to save money? Go to Flatio and live for a few weeks or months in the capital of the Czech Republic without unnecessary spending. You only pay a 19€ reservation fee and a service fee based on the length of your stay – and that’s it, nothing else. 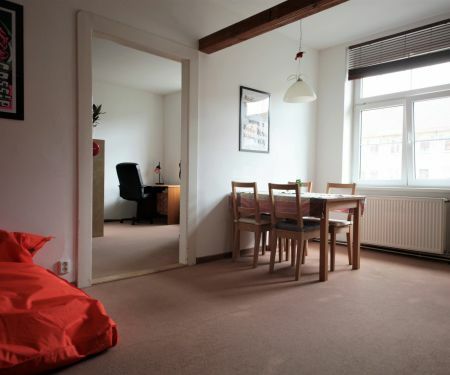 Did you think that a rental in Prague 7 is a dream that never comes true? With Flatio it’s a reality! 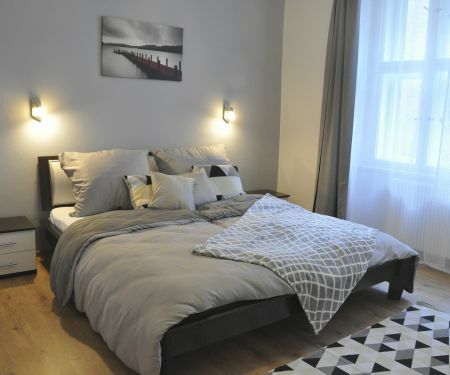 Choose from a selection of fully furnished apartments and put the three-months-worth of rent money you saved into experiencing the heart of Europe.